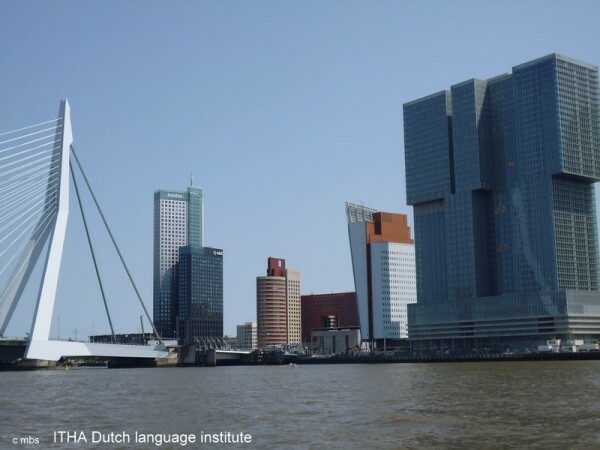 A lesson on architecture in Rotterdam, including a bicycle tour is one of our regular activities. On a pre-agreed Saturday we organise a seminar and a bicycle tour for all our ITHA students from level A2 in cooperation with a Rotterdam based architect. Date: on a Saturday in consultation. We start the lesson with a presentation of the buildings and you will receive a practical glossary with a translation in English and Dutch. We leave at 13.00 by bike to the various locations. Which ones? That is a surprise! The bike tour takes at least 1.5 hours. Want to join? Please fill in the enrollment form.